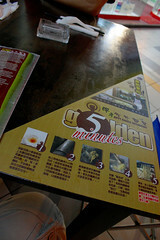 I saw this on 8TV and also I read about them on blogs written by a few foodie, such as J2KFM and Ken Poi. 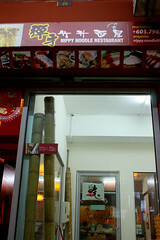 I am refering to Nippy Noodle Restaurant where Bamboo Noodles are served. 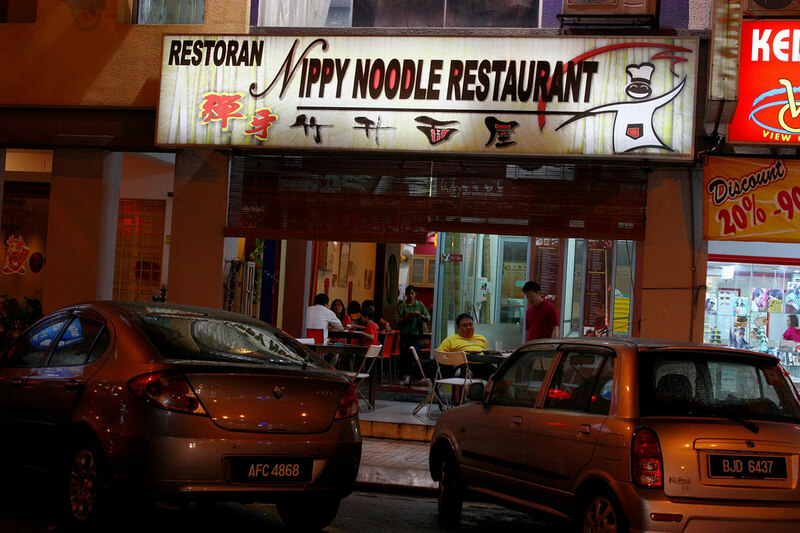 I would say this place served real gourmet noodle. 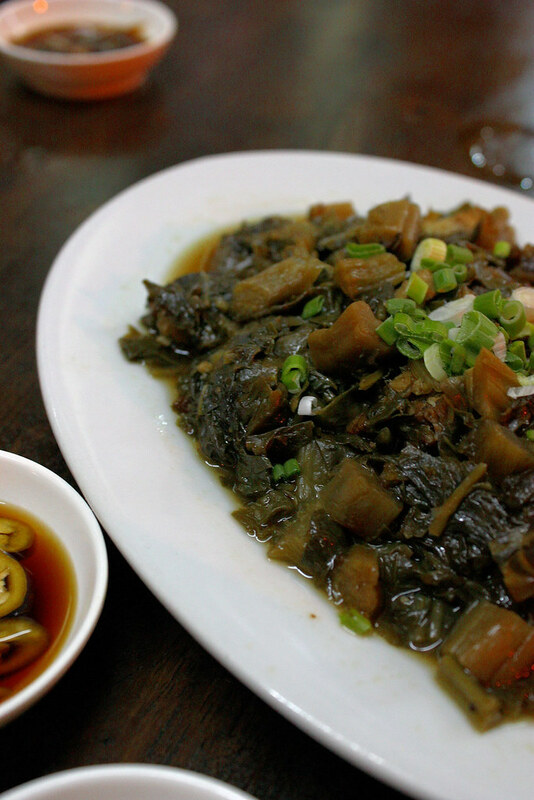 According to the story Bamboo Noodle originated from China during the early 1900's in the province of Guong Zhao, Hong Kong and some partof Asia. The uniqueness about this bamboo noodle is the method of making, currently noodles are made from modern machines, bamboo noodles are made using a long huge bamboo. 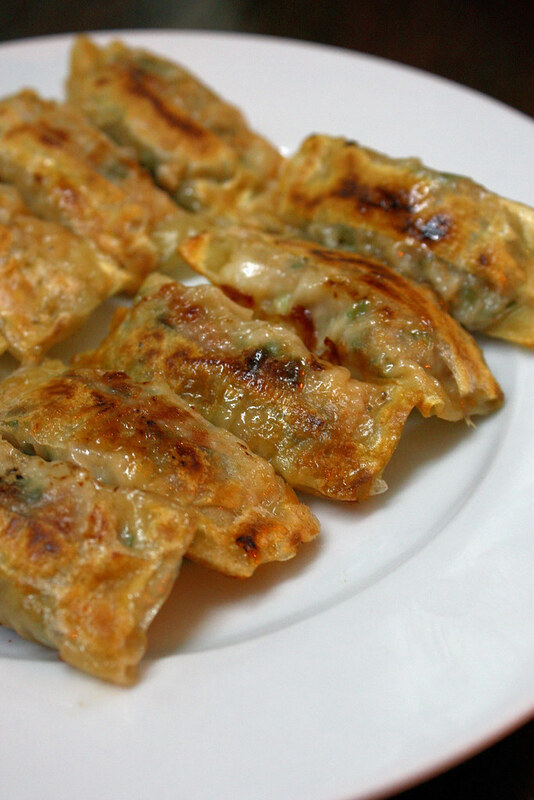 The bamboo is used to press the noodle dough to produce the great springy texture. At Nippy, premium flour and fresh Omega eggs are used to produce the delicious flavouring. taste. smell and texture. At Nippy there is a special room dedicated to produce the bamboo noodles and even the customers can have a look on how they are produced. 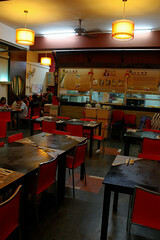 The dining place looks simple and relaxing enough to chopsticking a bowl of noodle, deco was simple and pleasant. 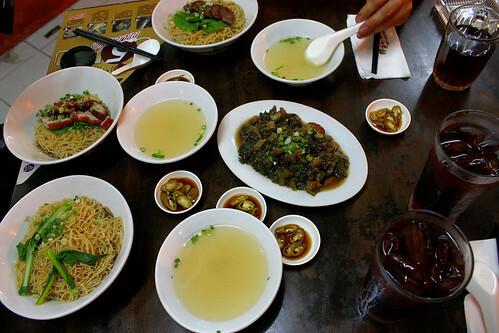 This is what we ordered that night, (3 of us Syd, Ken and myself) a bowl of dried bamboo noodle with char siew and siew yok ( caramelised BBQ pork & roasted pork), a bowl of dried bamboo noodle with siew cheong (liver and pork sausage), a bowl of dried noodle with wanton (dumpling), a plate of mui choy (braised perserved vegetable) and a plate of pan fried kau chee (chinese dumpling) nicely spread on the dining table. The pan fried kau chee was good but do have vegetable taste and not 100% meaty. Well pan fried till part of the skin becomes crispy. 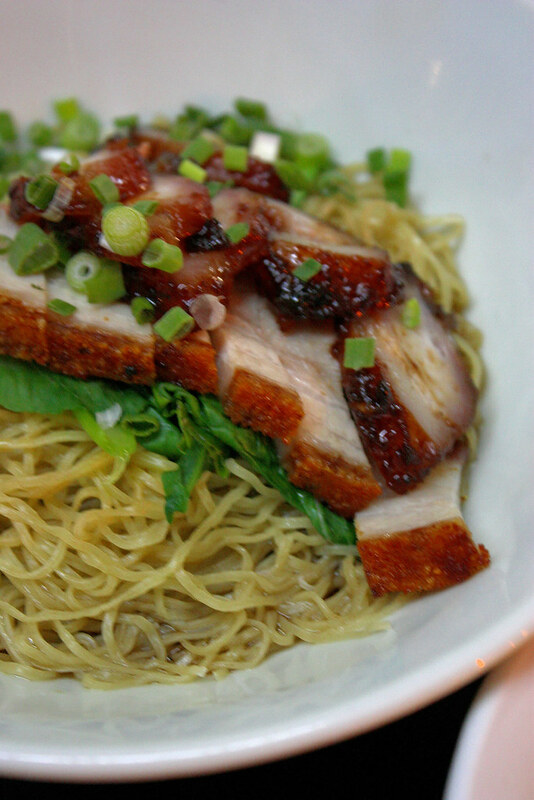 Niuppy's bamboo noodle do live up to it's expectation, great noodle thickness, crunchy and full of flavour. The sauce was good and not salty at all, very well balance and makes the noodle absolutely tasty even by itself without any topping. 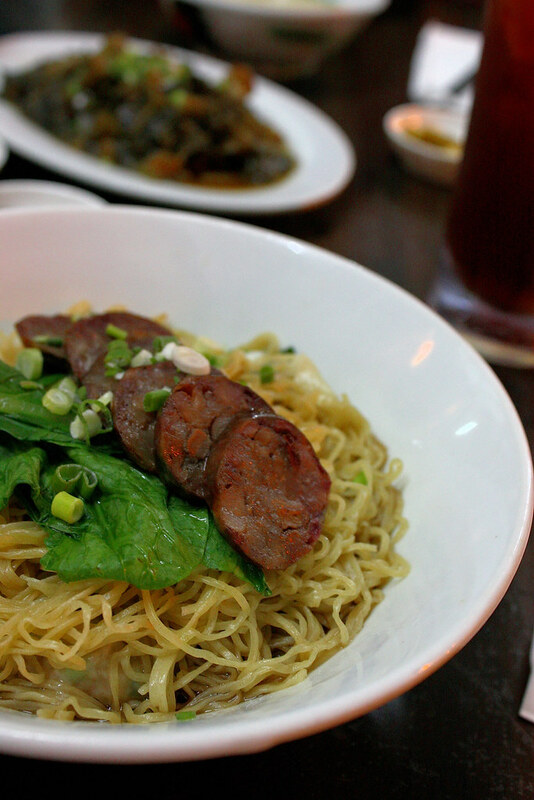 I would say it tasted much better compare to our wanton noodles which are more thicker and soft. 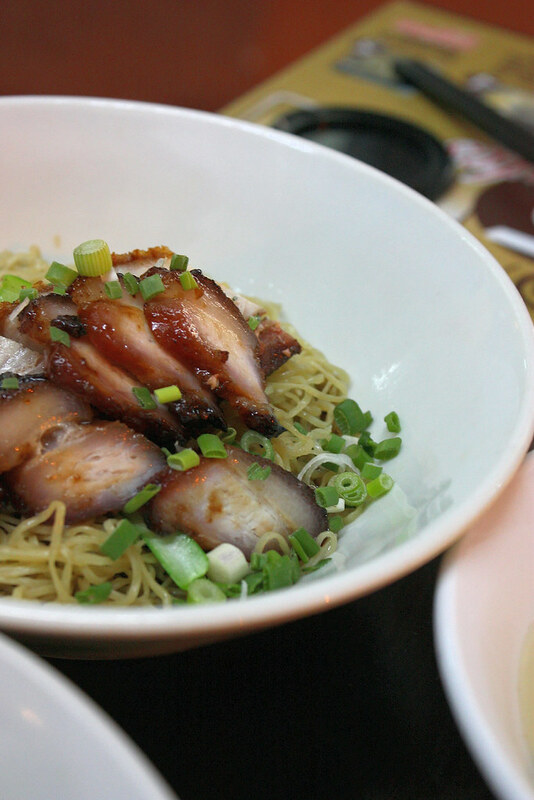 The char siew and siew yok ( caramelised BBQ pork & roasted pork), were delicious and complimented the noodle so well and tasty, it sure likes up my bowl of noodle. 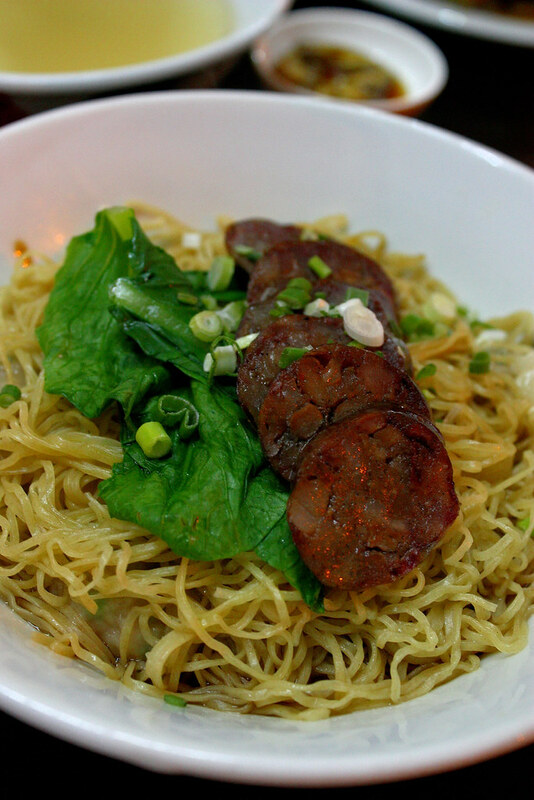 The siew cheong (liver and pork sausage), was not too bad but I prefer mine to be more thicker cuts and well roasted to give the burning taste whic was lacking here. 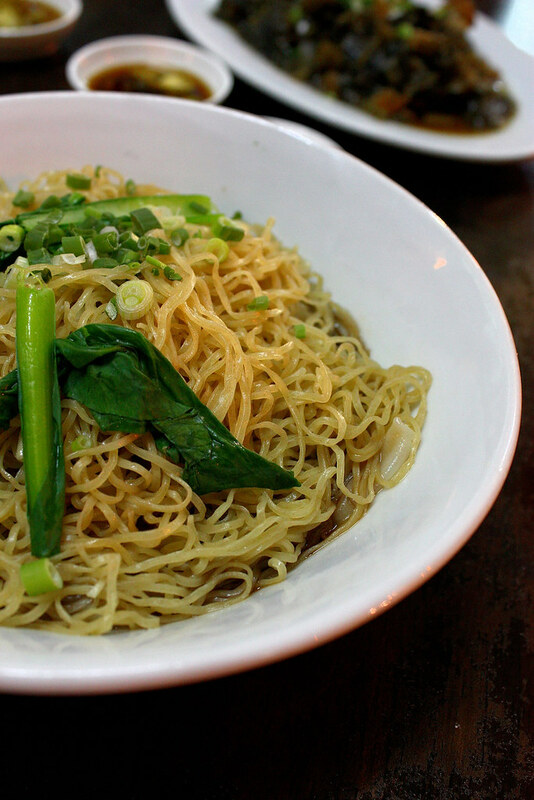 The texture of the bamboo noodle was just perfectly cooked, crunchy and tasty. 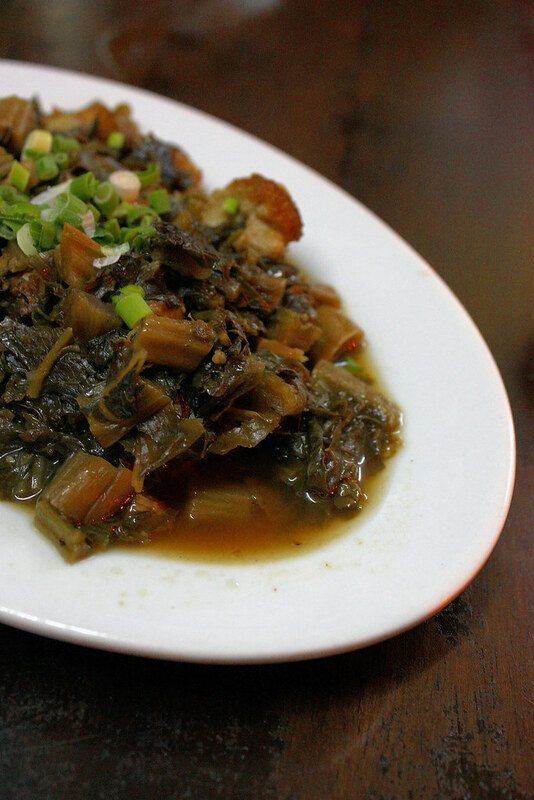 The mui choy (braised perserved vegetable) was interesting but still I prefer mind to be sweeter with a body taste. Gosh.....this is my first challenge in my life . . . . lol! especially with the daring bakers. Why now? and not before?. . . well I have notice the daring bakers but I alway assume this event is for beautiful ladies . . . . I am sure you know what I mean. But truely after reading baking blogs reviews one after another, I decided to try this challenge basically to overcome my fears, trust me, I am saying this out from my heart . . . . my fears. Well I got this challenge done and straight I went and get it posted before the day becomes 29. I guess I had made it! A pat on my shoulder. I hope you will like my lemon meringue tartlets. To roll out tartlet dough, slice the dough into 6 pieces. On lightly floured surface, roll each circle of dough into a 5 inch disk. Stack the disks, separated by pieces of plastic wrap, on a plate, and refrigerate for 30 minutes.To bake the dough, position rack in oven to the centre of oven and preheat to 350ºF (180ºC). Place the disks of dough, evenly spaced, on a baking sheet and bake for 20 to 25 minutes, until golden brown. Cool completely. 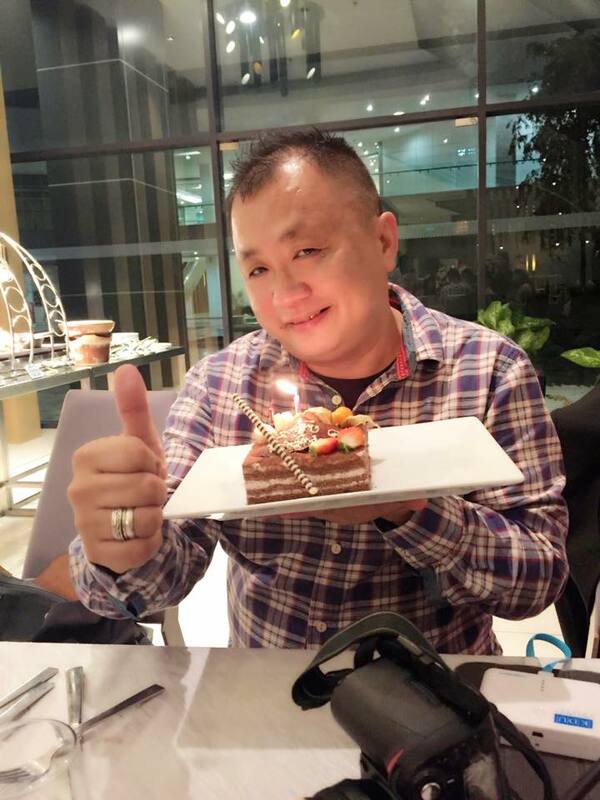 I am now very hungry waiting for my next challenge, as fears had been overcome!